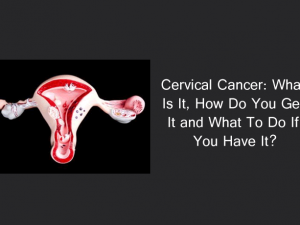 Cervical Cancer: What Is It, How Do You Get It and What to Do If You Have It? He wasn’t lurking in a dark alley, wearing a trench coat and waiting for this once unsuspecting and naïve little girl to walk past so he could grab me. He also never slipped anything into my drink or used my inebriated state as a reason to take me to the same dark alley I had done such a good job to avoid as a child.